A car pulls out in front of you on a three-lane highway. You’ve got cars behind and beside you. Would you know what to do? You are driving around a corner and hit a patch of oil on the road? The back end of your car starts to spin out of control. Are you able to stop the car from spinning? Traffic is banking on the freeway and you see brake lights coming on six cars ahead. Do you brake, or keep driving? The average driver often has to face dangerous situations for the first time on the road, because they have had no chance to gain experience in a controlled environment. This means that people may be hurt or even killed in situations that could have been avoided through defensive driving. 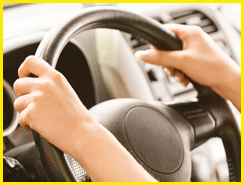 Our defensive driving course offers drivers the opportunity to combine theory and practice in a safe environment. Our patient driving instructors run engaging driving classes that will teach you about the concepts and mechanics of defensive driving. 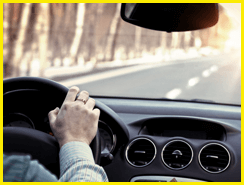 Our experienced driving instructors at Scenic Rim Driving School are generous with their knowledge and will patiently teach students how to face unexpected situations on the road with more confidence and competence.